Have you recently purchased a vinyl record, put it on the turntable and found that the sound quality isn’t up to par with other albums in your collection? While many may blame the equipment for the subpar sound, the problem could be the vinyl itself. Simply hand cleaning your records is a good place to start, but bringing the vinyl back to its original condition will take more than just a quick brushing. Want to learn how to keep your valuable vinyl collection in the best condition possible? Read ahead to find out about the many benefits of keeping your records clean and scratch-free. Record collectors know that condition is everything when looking at vinyl records. Sometimes the difference between a hundred dollar record and a thousand dollar record is the condition of the vinyl. Nothing hurts a record’s value more than scratches or smudges on a piece of vinyl, which is why it is so important to keep your investments in the best possible condition. In addition to maintaining the value of your vinyl, it’s vital to keep a clean record collection to preserve the sound of your albums. 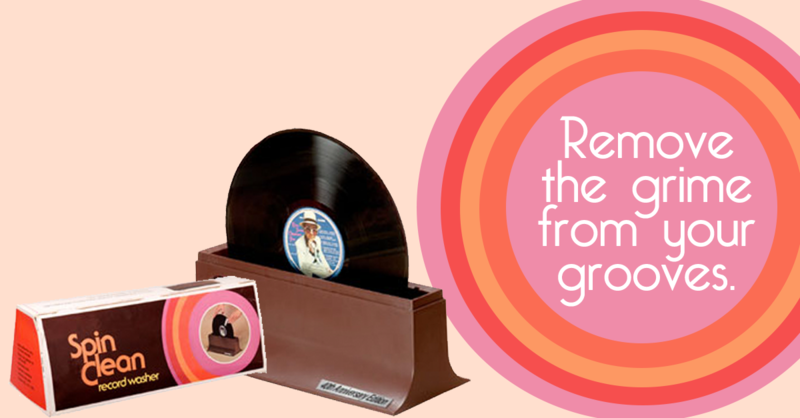 Tired of hearing distant or stale sounds coming from your favorite records? It could be due to their lackluster condition. Vinyl records with dirty surfaces simply sound inferior compared to albums fresh out of the sleeve, which is why you need to make an effort to keep your collection looking spick and span. The best and most efficient way to keep your vinyl collection in audiophile quality is with the use of a record washer. These devices will wash away the dirt and grime from your vinyl, breathing new life into records you thought were damaged forever. Spin-Clean record washers have been masterfully preserving vinyl records for over 40 years, removing all imperfections and leaving behind a clean and crystal clear sounding album. With the recently introduced 40th Anniversary Spin Clean Record Washer, you can protect your valuable investments and maintain a prestine vinyl collection. For more information about how Spin-Clean products can help keep your vinyl healthy and how to enhance the value of your records, call 1-800-931-5850 today.. Have you recently purchased a vinyl record, put it on the turntable and found that the sound quality isn’t up to par with other albums in your collection? While many may blame the equipment for the subpar sound, the problem could be the vinyl itself. Spin-Clean record washers have been masterfully preserving vinyl records for over 40 years, removing all imperfections and leaving behind a clean and crystal clear sounding album. For more information about how Spin-Clean products can help keep your vinyl healthy and how to enhance the value of your records, call 1-800-931-5850 today. ← Which Records are the Best Selling of the Last Two Decades?